HOW: Some people, when they think of retirement, think of golfing, beach houses, and sleeping in – a far cry from Cynthia Hayes’ retirement dreams. They included launching a business that, not so coincidentally, would help others save for and achieve their own retirement goals. “I was feeling a bit uninspired and unfulfilled,” says Hayes, formerly a Managing Director at Merrill Lynch, “plus, I had always targeted age 55 as the time to do something on my own.” So when Merrill offered her a voluntary early retirement in April of 2008 – months before she had planned to make the jump – she leapt and started work on her new project. One full day (literally), some phone calls, and a Linked In account later, Hayes was in business. 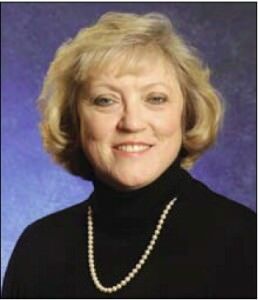 “I have always played a leadership role in the retirement industry, and have wisely always cultivated a wide network of contacts,” Hayes says, “and Merrill Lynch also wanted to continue to use me in a consulting capacity.” This gave her a strong running start into entrepreneurship – which, in turn, helped her battle the looming recession. “In hindsight, had I known that the economy and the housing market were going to have a melt-down, I’m not sure I would have jumped when I did,” says Hayes. Nonetheless, she didn’t turn back. She invested $50,000 to get the business off the ground then turned to building both her client relationships and her pool of internal resources. “I reached out to talented colleagues I knew who were in similar situations,” says Hayes – knowing many who had recently retired, had been downsized out of their jobs or were simply looking for another work environment.